Journal of Medical Ethics | The journal seeks to promote ethical reflection and conduct in scientific research and medical practice. Journal of Medical Ethics is a leading international journal that reflects the whole field of medical ethics. The journal promotes ethical reflection and conduct in scientific research and medical practice. 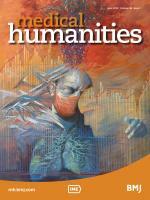 It features articles on ethical aspects of health care relevant to health care professionals, members of clinical ethics committees, medical ethics professionals, researchers and bioscientists, policy makers and patients. 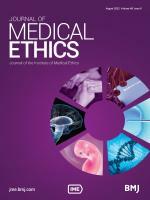 Journal of Medical Ethics is an official journal of the Institute of Medical Ethics. It also publishes an associated blog. The biobank consent debate: why ‘meta-consent’ is still the solution! The Journal of Medical Ethics accepts submissions of a wide range of article types, including original research, reviews and feature articles. The Author Information section provides specific article requirements to help you turn your research into an article suitable for JME.